Great ideas, thanks so much. I started Daily 5 last year and I'm getting ready to work on my schedule so this was very helpful! I'm going to be referring back to your page regularly! I am figuring out how to correctly put together my reading block. Loved the freebie! 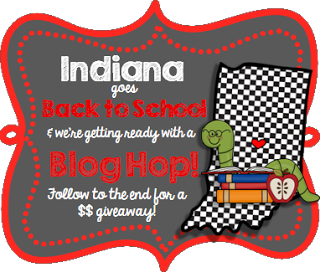 Glad to see other Hoosier Bloggers on this blog hop. Hello! I am so happy to have found you through this blog hop. I am getting so many fantastic ideas! I love your organization tips!. It's funny...I am having a week long linky next week and the first topic is lesson plans. I would be honored if you link up to share! I am happy to be a new follower! great ideas will definitely pin this blog...I'm new to first grade and new to implementing Daily 5....ugh what have I taken on?? ?